Box Dimensions (LxWxH) 20.5 x 15.0 x 8.0"
In terms of performance the Optoma UHD51A is pretty typical of the 4K UHD projectors that are using the lower resolution 1920x1080x4 DLP chip. Where it separates itself from the pack at times is in other areas. 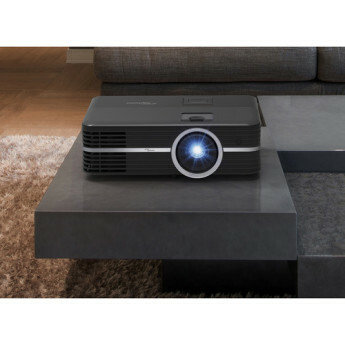 Projectors have countless advantages over TVs. 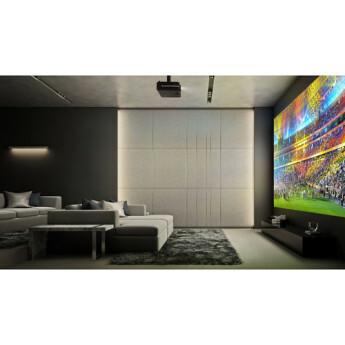 For setting up a home theater, a projector allows your screen to be essentially as large as your wall. The resulting picture puts even giant TVs to shame. And size helps you see more detail. 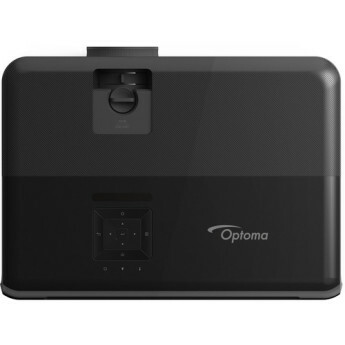 Optoma doesn't cut corners with this entry-level UHD hero. Images are sharp, colour rich and dynamic, and there's the bonus of fine-looking 3D. Ive had the UHD51A for about 5 months now and I am very pleased with it. I am using it in a finished basement with very low ambient light and a screen. 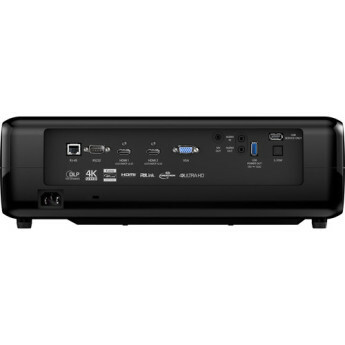 I am coming from a Benq 1070w.Pros: The Optoma supports 4K and HDR which looks very sharp and vibrant, especially with 4K blu ray discs. The 51A does what it says on the tin: 4K, HDR, etc. No keystoning is not ideal, but that was clearly stated in the listing. Normally I'd give that a 4 stars because I wasn't blown away by anything. Let me start by saying this projector has a very good picture. You are able to adjust the image size and focus. There is also a 10% adjust for the height which helps. Now here were my issues: 1. There is no keystone adjustments so the height of your screen vs. the height of your projector matters. 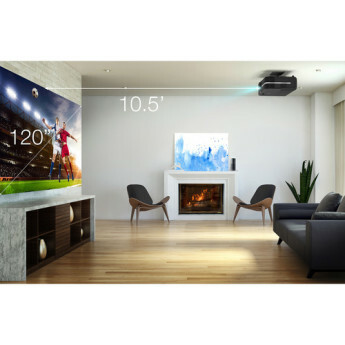 I was skeptical initially about whether to buy a TV or projector. 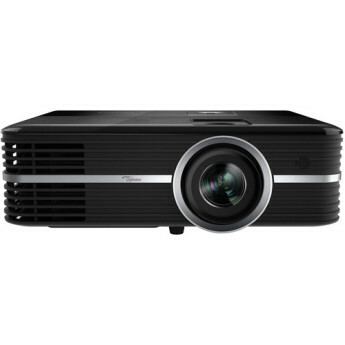 Then decided on projector. After that started a tiring 4 days of research on which projector to buy. After doing a lot of research, I shortlisted this one and other one from rival brand but ended up choosing this. 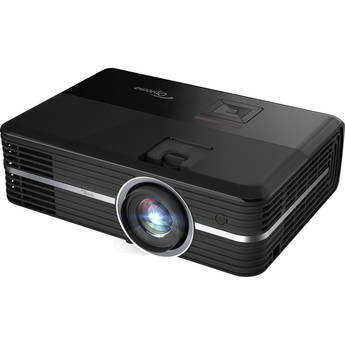 I purchased this projector to replace a 1080p Benq HC1200 and so far it's great! The picture looks amazing, especially when viewing UHD blu rays or streaming 4k via Netflix. Even 3D is a major upgrade over what my Benq was capable of generating. This product has great picture quality. I put it in my basement so there is not much light pollution down there so I can’t comment on how it would work in a differernt light setting. My only complaint is that the motor/fan or whatever is kinda loud. I’m getting more used to it though. Happy with my purchase!!!! Nice bright picture and clear. Definitely needs calibration to get the best out of the picture, and I'll review again after I can get that done. One complain is the pure motion appears to leave artifacts when the picture is panning, even on the low setting.